I seem to find myself around a lot of soon-to-be mommies these days which has inspired today’s free svg file release. The new file available is a stork carrying a baby. 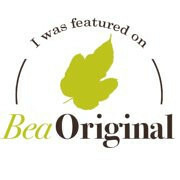 Did you know that BeaOriginal is currently offering new subscribers to our newsletter a FREE CUSTOM SVG file! To sign up and receive your FREE CUSTOM SVG, click here! We will design the file with you in mind! Although I feel like I write about this topic quite frequently, it is one that I find myself frequently addressing in my own craft room. Organizing paper can be an overwhelming task. Especially if you love paper as much as I do. 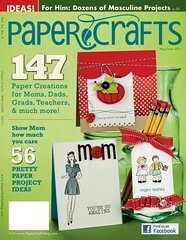 I recently saw a great tutorial on Paper Crafts Magazine that got me inspired to use more of my scraps. The tutorial combines scraps to create new “sheets” of paper. The sheets end up having stripes of multiple scraps. I don’t use too many stripes in my projects, but I loved the idea of grouping scraps of similar colors for quick and easy use. So I pulled out my scraps and grouped together about ten sets of scraps. When I finally found some time to craft, I pulled out these groups and whipped out some cards really fast! I realized just how much time I spend looking for paper to begin my project, it can really take the wind out of your creative sails. I saw this idea and thought it would be perfect for organizing these scrap groups. 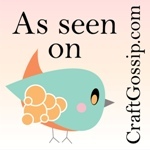 Throw each set of scraps into a folder and file away. Here is an addition to the idea too: attach an envelope to the inside of the file folder and include pre-made embellishments and ribbon scraps that also match your scraps. That way when you need to make a card quickly, you already have all the paper you need, your embellishments are ready, and you can just pull out the folder and create! Hope this helps you get motivated to organize your paper scraps! Thanks for reading. Although most dread this time of year, today’s SVG release is inspired by back to school. The new file available is an apple. Today’s release is really a fun one, the new file available is a fried egg. Over easy, over medium, over well, delicious no matter what! Last week’s BeaOrganized blog featured a great storage tip for dry glitters, today we want to show you another fantastic idea involving glitter. Today’s storage tip is a great way to store glitter glue to be ready at a moment’s notice. Attach a small magnet to the bottom of each glitter glue bottle. In a grid-like pattern attach the alternate side of the magnet to an old cookie sheet. Here’s a tip: use some masking or painter’s tape to create the grid on your cookie sheet. This way the glues will have plenty of space for you to see where each color is located. We recommend using hot glue or crazy glue to make sure that the magnets stick will to the under side of the glitter glue containers. Grab someone handy and have them punch holes into either end of the cookie sheet, near the handles. Place ribbon through the holes and tie to the under side of a piece of furniture in your craft room (or if it is not possible to tie the tray, find a way to stabilize the tray underneath a shelf of some sort). Attach the glitter glue to each of the magnets. Voila! This fantastic storage idea for glitter glue is ready to go, and so is your glue! Thanks for reading. Today’s release was a custom SVG request received from one of our customers, the new file available is a fleur de lis. Did you know that a fleur de lis is a stylized iris or lily? Fun fact! Sometimes I hit a creative block, I’m sure you all know how it is. None of your papers match, no stamp is perfect, and all your cards come out looking the same. It’s hard to find ways to break out of this. I usuallly take time to clean and organize my craft space, or I just ignore that room for a day or two until I feel the creative twinge at my finger tips. Another method I use to break out of my papercrafting slumps is to pick up a different craft project. Yesterday I did some sewing, and although I’m not ready to reveal the final product yet…I thought I would give you a sneak peek! So if you’re stuck on your paper projects, turn to some fabric, yarn, or pick up that old sketch pad…your inspiration may not be as far away as you think! Thanks for reading.